Is a ThredUp Clean Out Kit Worth Your Time? A few weeks ago, I wrote about my experience shopping on ThredUp, the online second-hand store. I was a fairly happy customer, especially after diving into the Goody Box. They select about 15 items for you to try, and then you buy what you want and return what you don’t like. But trying to sell to ThredUp was a total disappointment. All I did was give away my stuff into a black hole instead of to a thrift store of my choosing. Now I’m peeved. The selling process begins when you request a ThredUp Clean Out Kit. You receive an envelope containing a mailing bag and shipping label, as well as a tip sheet on stain removal. Then you pack up the bag with your unwanted stuff and send it by way of the U.S. Post Office. You can also choose an option in which you get your things back, but this costs $10.99. At the time I thought that was a waste of money. Now I wish I’d done it. Further Reading: Check out our top online selling tips. My highest potential earnings from my ThredUp Clean Out Kit. That Avia shirt was the only thing they took. But here’s the worst part: They’re going to sell it for $10 and send me back between 38 and 50 cents. Really. Really! Yeah, thanks for the parking-meter money, ThredUp. I was extremely irritated, but mostly I felt foolish for buying into their scheme. I’m sure another consignment store would have taken the dress and maybe the shoes. Or I could have given the dress to a friend. Or even given it all to a thrift store in my neighborhood. 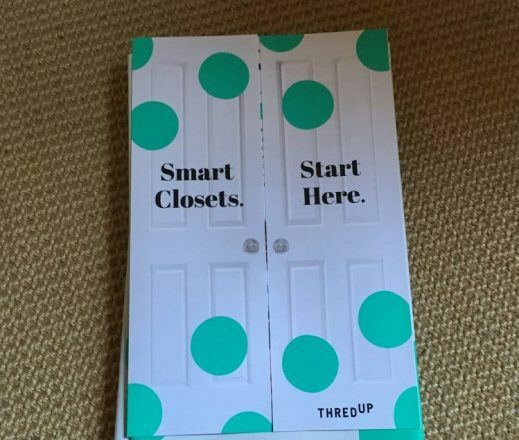 ThredUp has an option to donate your clothes, but why go to the trouble of doing that when practically every town in America has a drop-off box for charity? 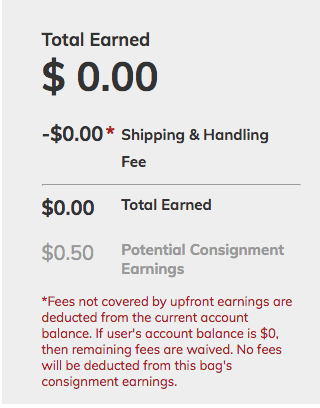 ThredUp says that items they don’t accept are “upcycled.” Okay, but what does that even mean? I don’t know, but I can tell you the implication: I never need to shop there again. 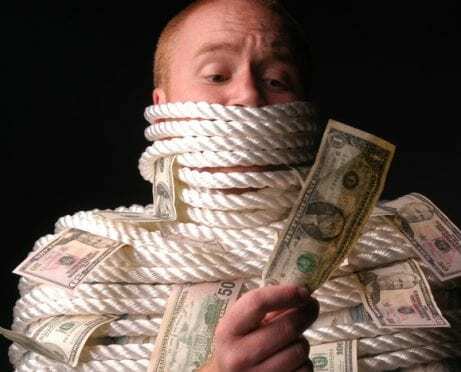 Further Reading: Learn how to avoid “make money online” scams. Ultimately, what’s the purpose of second-hand shopping online? The only thing ThredUp does well is organize and present items. Actual thrift stores are rarely organized, but they usually serve some charitable purpose in a community. Brick-and-mortar consignment or second-hand stores, where you are paid for what you bring in, are often a chaotic mess. But despite how they look, they work just fine. You go for the fun of shopping. Maybe you’ll find something that fits at the right price. They don’t clog up the landfills with packaging materials or ship you goods halfway across the country. I was intrigued by ThredUp, and I did find a bargain. But I feel like I lost value by their rejection of items that I probably could have sold. So keep your 38 cents, ThredUp, and delete my account. I’ve got stuff I need to take over to Goodwill.